Wedding on the 4th of July! Celebrate the Day! I admit it – I am the sentimental type. There is something about seeing a bride coming down the aisle that just turns on my waterworks. And when that bride is my daughter …. well you can only imagine. I am headed back to Illinois this weekend to help with the wedding of the daughter of one of my very best friends. I am excited to be sharing a couple of days with them as we put together all of the décor. In my nearly 35 years of floral design, I have had the opportunity to work with many brides – helping them plan their wonderful day. 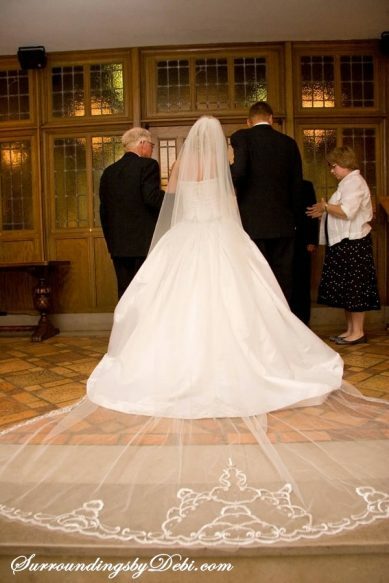 But nothing can compare with the day your own daughter walks down the aisle. And nothing can compare with making the wedding preparations with a daughter who has observed all of these many prior weddings. During the many years of my floral career, she had been a big part of helping me design and decorate so many of those special occasions. And through all of those experiences. she definitely had ideas of just how she wanted her special day! And her mama wanted her to be a happy bride! As most girls do, she had been planning this day in her heart for years. 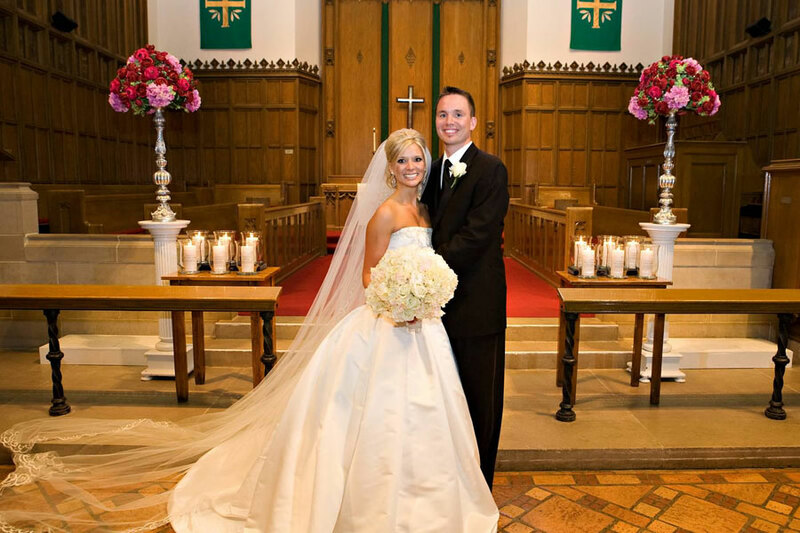 She worked hard to create her perfect day and it turned out beautifully. 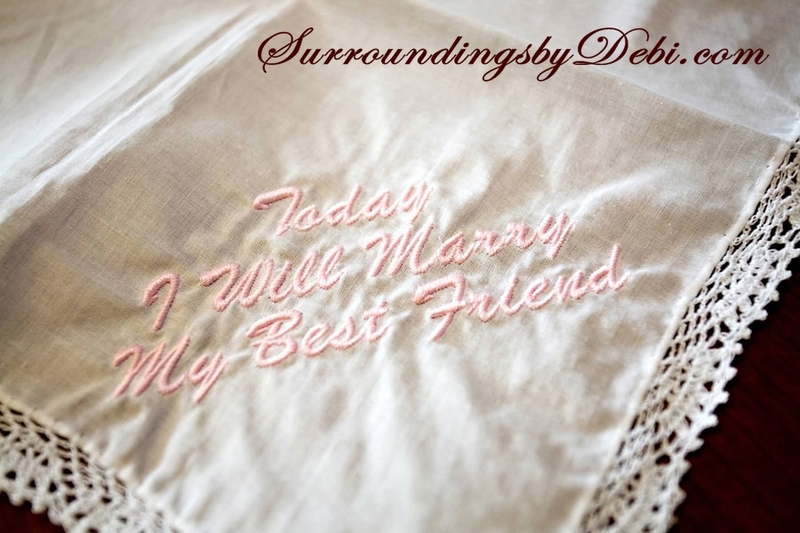 Today I am traveling back to that wonderful day to share with you just a few of the unique touches she used to make her day her own. She began by choosing a 3 day weekend that would accommodate the many relatives that would be traveling. July 4, 2008 was the chosen date. Vetoing the red, white and blue theme – no way, not for this girl – she chose to use predominately reds, with stunning accents of hot pinks, lavenders, purples and greens. Shall we begin from the bottom up? 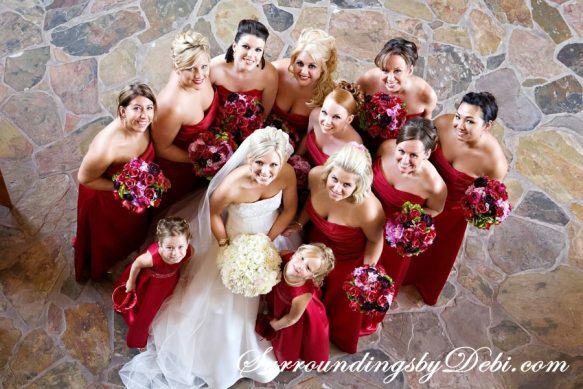 Not entirely a traditional bride, she chose to incorporate the color red in unique and unexpected places. Which meant ….. she slipped a lovely red petticoat beneath her beautiful white dress. 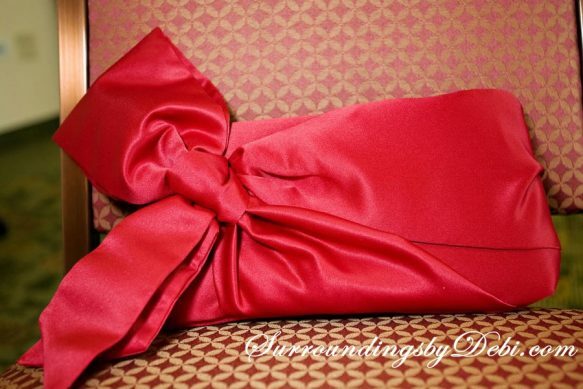 ….. and clutched a red satin purse. A touch of tradition did appear by combining the something old, borrowed and blue in a single fun brooch a sweet friend had loaned her. Tears that might be shed could be caught in a handkerchief with the sentiment of the day embroidered upon it. As a special touch for her groom to be, a true Batman fan, her garters were embellished with “Batman” ribbons. Being a florist, I of course, wanted to design the floral arrangements for the wedding. 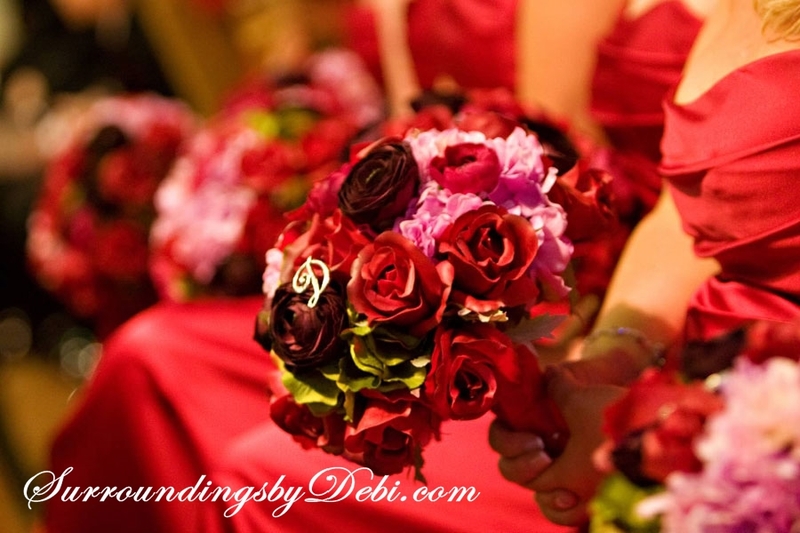 The problem was – how could I be mother of the bride and florist both on the same day? To solve the dilemma, all of the arrangements for the wedding were created using faux flowers, allowing me to design them prior to the big day. The beautiful bride held a bouquet of white roses, ranunculus, and hydrangeas with just a touch of pink. 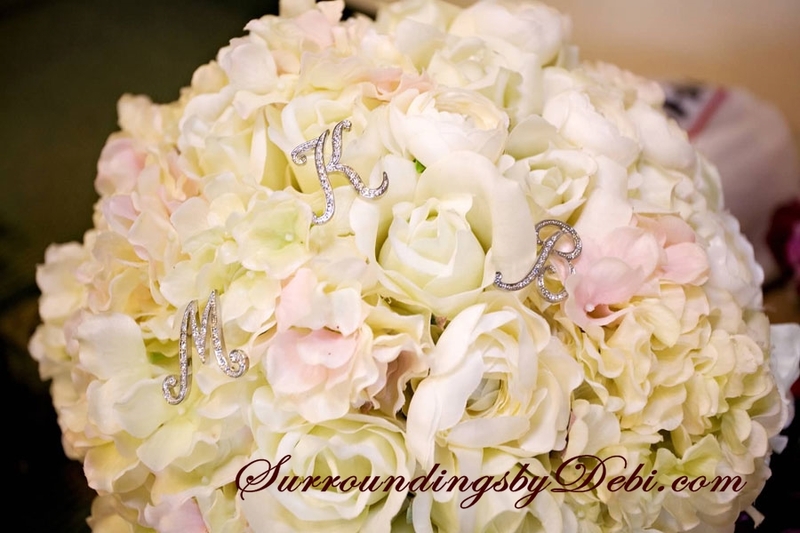 This was accented with rhinestone monogram letters using the bride and groom’s initials. You can find these HERE. All nine bridesmaids carried bouquets of red roses and purple ranunculus, accented with lavender and green hydrangeas. Each individual bouquet was centered with the initial of the bridesmaids first name in a rhinestone monogram. Each girl looked so beautiful. 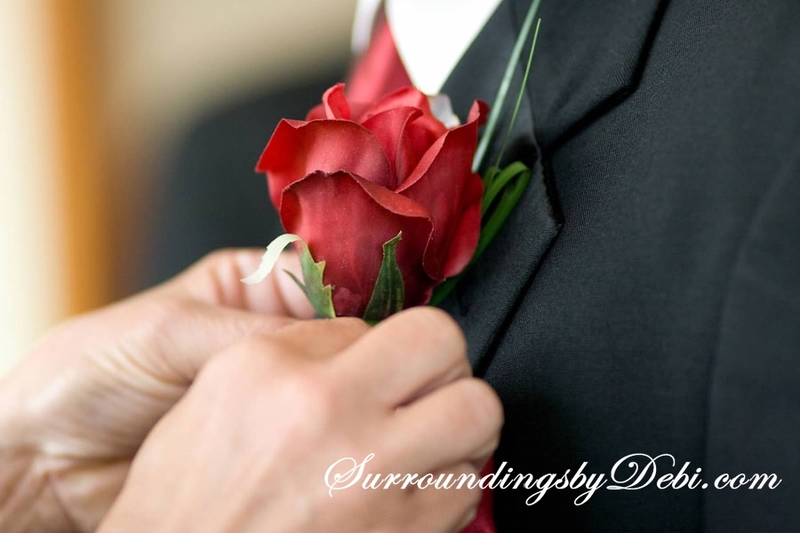 All men in the bridal party wore a boutonniere of a single red rose. 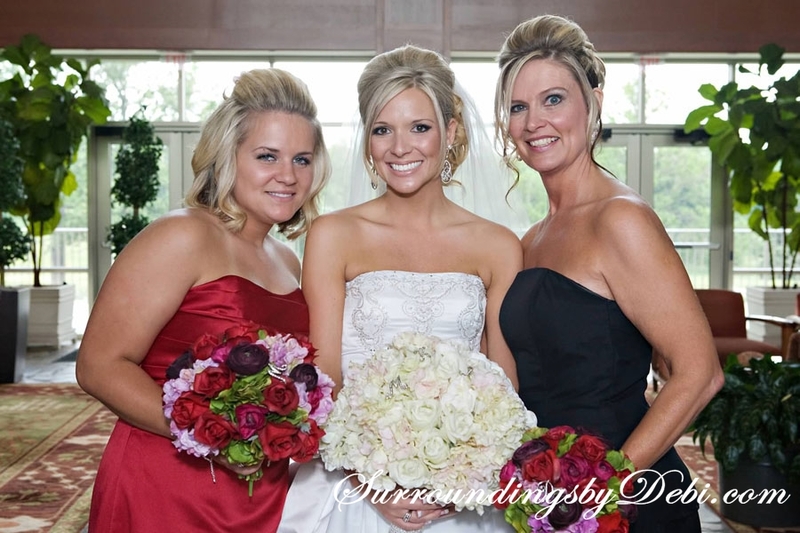 Don’t I look proud to be with these two girls – the beautiful bride and her equally lovely sister? Before we knew it, the moment had arrived, my tears began ….. and the lovely bride made her way down the aisle to her groom. The happy couple at the altar after the wedding. The candles flanking each side were memory candles to honor special people in their lives who no longer were with us. 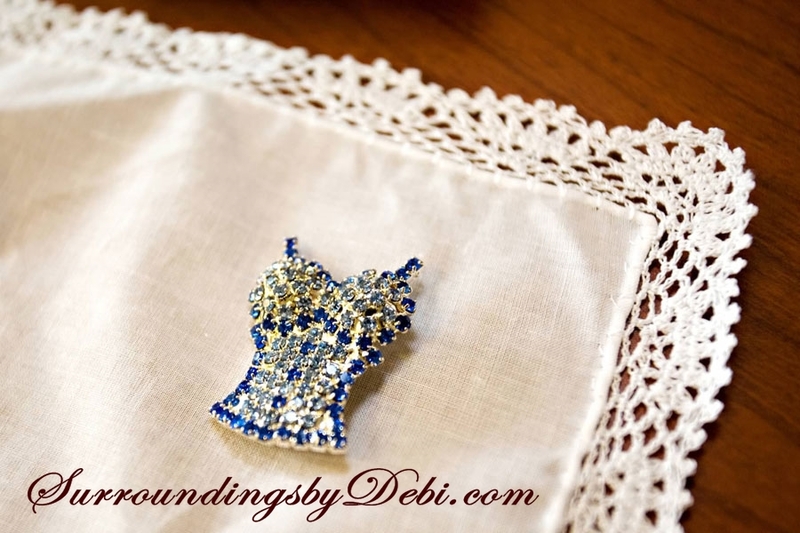 I look forward to you joining me during my next post, “Celebrate With a July 4th Wedding – Part 2”, as we head to the reception. It’s time to party and celebrate! Thank you Katherine. I was a very special day! I will have to check out your wedding shop! You are a woman of MANY talents! hello I’m wondering where she got her beautiful dress? I am not sure it is still available in the line. It was a beautiful dress. It was a great day. I love making memories with and for others people. So glad you were there to help with your children’s weddings! Stop by tomorrow for the reception! Stunning!! 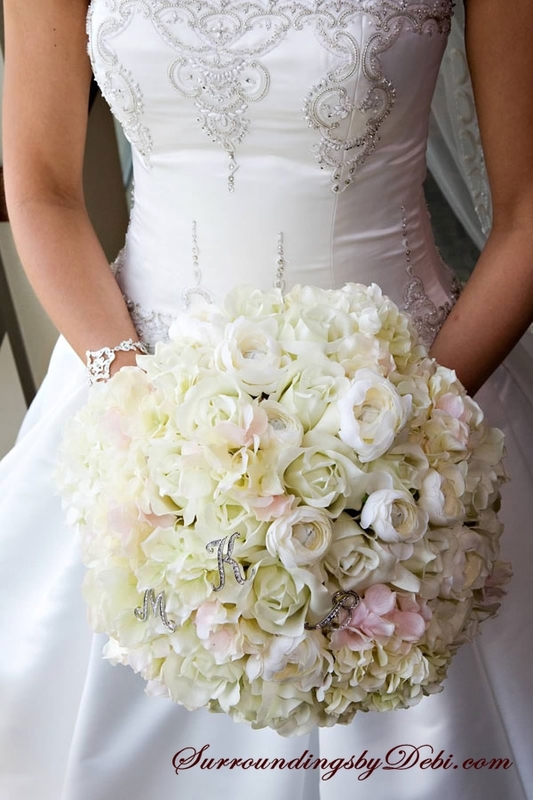 What fabulous colours and the bride’s bouquet just takes my breath away! Thank you Jennelise. It was a special day and of course a special bride. Thanks for stopping by! What a lovely wedding and your daughter is beautiful too! 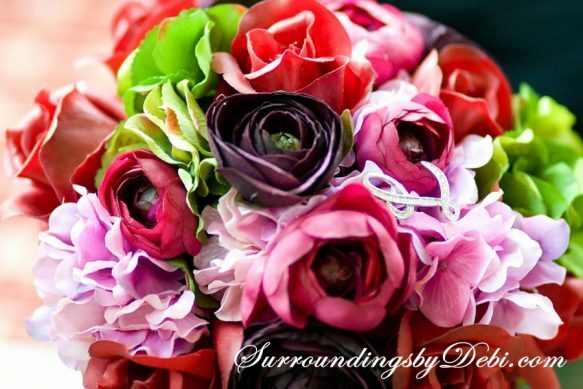 We are getting ready for a wedding this fall….. We’ll be using paper flowers instead of silk or fresh. Good luck with your wedding ~ they are a lot of work ~ but so much fun! Stop back by on Friday and view our reception! Thanks Debbie! It was a special day! That was a beautiful wedding and many happy memories from that weekend with your dear family! We were a happy bunch on that day. And so much has happened since that day. Who would have known that at the time. Hugs to you!